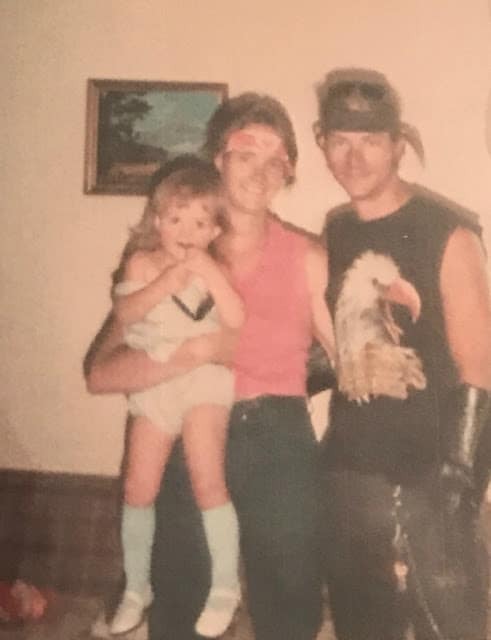 So I Guess I am 33, Let’s go Back to the 80’s! For months I have thought and even argued a bit with myself that I was turning 34 this year. Math is clearly not a strong point . 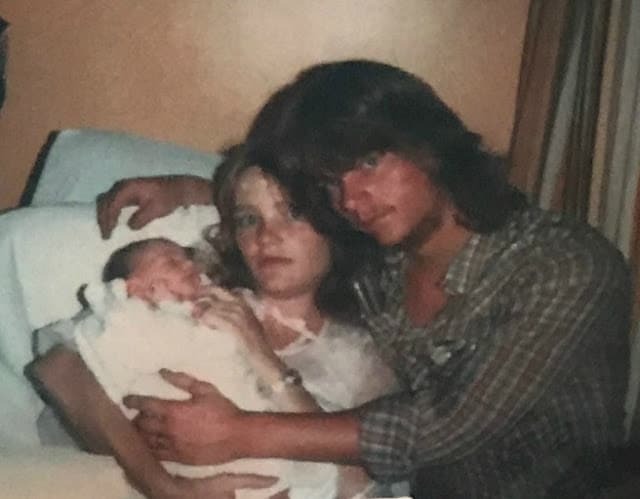 Well, today is August 15th and at 1:00 am on the dot 33 years ago (thankfully, my sister, friends and google can actually math), I came screaming into the world. For a terribly grainy photo, you can clearly see how adorable I am right? Ok, not actually, apparently the whole birth story is dramatic and full of chaos, basically like my life currently. The way mom tells it is that she was 3 weeks overdue and every time she would stand up she would get a bloody nose. 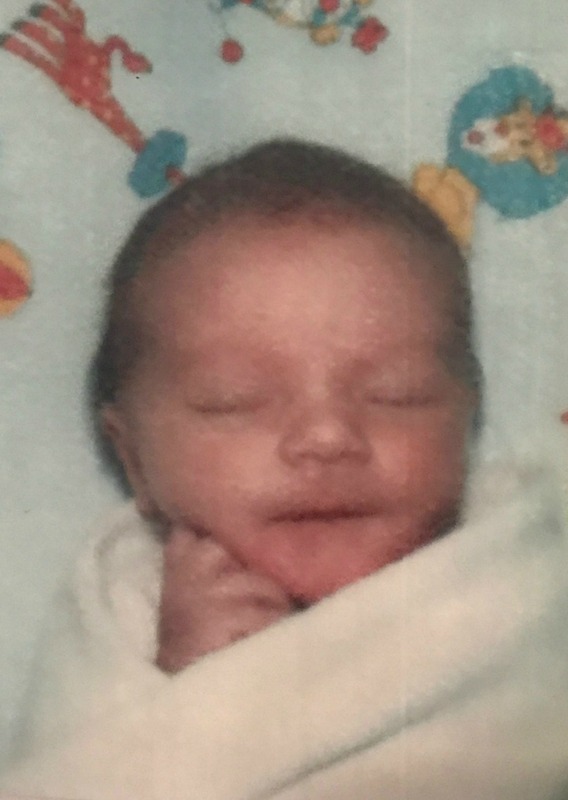 I was due on July 25th, they didn’t have insurance, so doctors wouldn’t induce, therefore, my mom was tortured with my still present, tardiness. The night before I was born, my dad insisted on taking my mom and going to some friends to hang out (give him a break he was a teenager). They came home, she started having contractions and went to the hospital. I think they were happy here? The nurses told her that she wasn’t in active labor, gave her a sleeping pill and sent her home. Well they didn’t make it home. In the car, I apparently decided it was time RIGHT NOW. So this is the point that my dad will step in and tell you that he looked over and saw my head sticking out. He reached over, held my head in his hand, drove like a maniac, got pulled over at or near the hospital and was quickly sent on his way, only for the doctors and nurses to run out to the parking lot, and realize that apparently I was um…stuck. They moved my mom into triage, re-adjusted me, removed the cord that was wrapped around my neck several times and out I flew, blue and screaming. I don’t remember any of this, but it sounds like a really awesome way to enter the world, so I sort of love it. I also love those two young awesome people because this is not just my day to celebrate, but theirs too! We are a close knit family and a bit quirky if you couldn’t tell already. These people are pretty awesome and I am thankful that they accidentally decided to have me 34…err 33 years ago. Mom tells me that I am not an accident, I just showed up earlier than expected…Dad tells me I am an accident but he loves me either way. Thanks Dad. 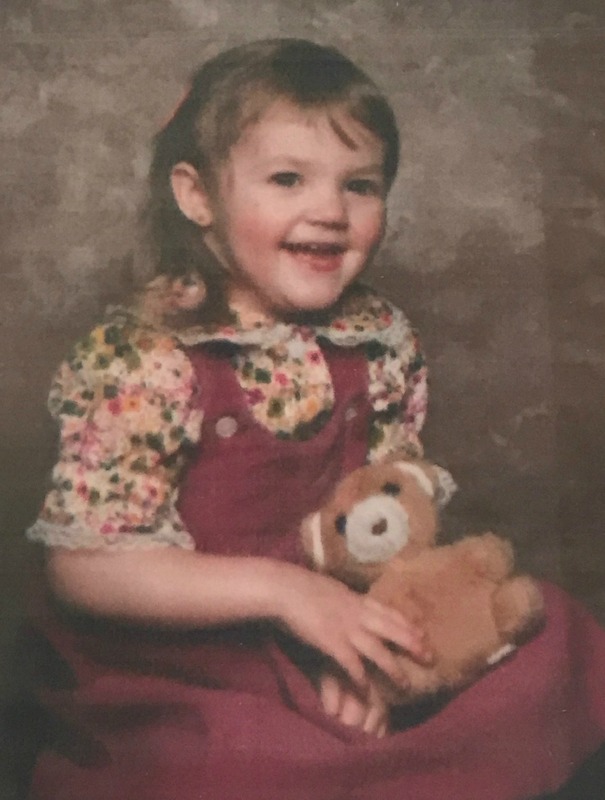 Honestly, I was a cute as heck accident and I lived the 80’s in corduroy, floral prints, bangle bracelets and neon, like a true 6 year old would (let’s be honest here, I would likely rock this now). Those were the good ol’ days with my Smurfs and Rainbow Brite and some creepy clown toy that I apparently loved. So today we celebrate me, and my parents who made me (ok gross) and for this, I am giving away $25.00 to one lucky winner. So enter below and wish me Happy Birthday, because as a Leo, I basically thrive on that attention.